February 6, 2019 7 – 8:30 p.m.
"The Wannsee Conference and the Murder of the European Jews - Addressing the Perpetrators of the Holocaust." This lecture will focus on the Wannsee Conference in the process of the persecution and murder of the European Jews. A focus lies on the role of the bureaucracies throughout Germany and the participation of hundreds of thousands of civil servants and police in the genocide. How do we address the role of the administration today and what is the significance in learning and teaching about the Holocaust? Dr. Matthias Haß works in the academic department of the House of the Wannsee-Conference Memorial Site and Education Center. He is the curator of the traveling exhibition “The Wannsee Conference and the persecution and murder of the European Jews”. He is also working as consultant, lecturer and educator in the fields of politics of memory, European integration, and international exchange programs. education, the Körber Foundation, Amziade, Road Scholar. Mr Hass was the director of the U.S. program of Action Reconciliation Service for Peace in Philadelphia from 2005 - 2009. He studied Political Science at the Free University of Berlin and specialized in the field of Historical Foundations of politics and the Politics of Memory. Over the last years, Mr Hass has organized a number of international exchange seminars for Canadian, Polish, German and American students with different organizations and universities. 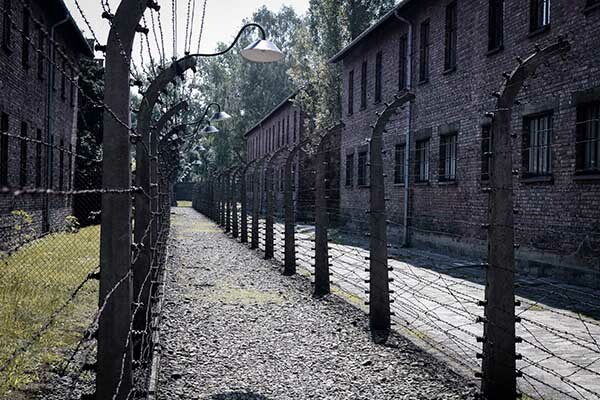 He has taught at the Free University in Berlin, York University in Toronto and Touro College Berlin, and worked at several museums and memorial sites to the Nazi past, among them the Topography of Terror Foundation and the House of the Wannsee Conference Memorial Site and Education Center. Among his publications are “Survivors, Victims, Perpetrators”, Berlin 2018, “Holocaust Education in a Global Context” (Ed.) published by UNESCO, Paris 2014, ‘Gestaltetes Gedenken. Yad Vashem, das U.S. Holocaust Memorial Museum unddie Stiftung Topographie des Terrors’, Frankfurt/Main, New York, 2002, and “The Politics of Memory in Germany, Israel and the United States of America”, Working Paper Series of The Canadian Centre for German and European Studies No. 9, www.ccaeu.umontreal.ca/en/index.htm, Toronto, Montréal, June 2004.